One of the vivid memories I have from childhood was of me snuggled next to my mom as she read me a bedtime story. After all these years, I still hear that soft voice and imagine her finger sliding across each word on the page. It didn’t matter what she was reading – I was hooked. That may be a small memory for some of you, but it was one of the happiest times in my life. And unbeknownst to me, my mom was providing me a solid foundation of early literacy. 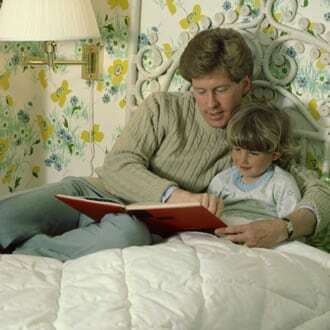 Bedtime stories aren’t just about helping your child learn how to read. Fluency is defined as the ability to speak or write smoothly, easily, or readily. Not only that, but a child who can read fluently understands what they are reading and can do so with better accuracy and proper expression. Children who don’t have these fluency skills have difficulty understanding words, phrases, and context. They’re also not motivated. They see reading as a chore instead of something that’s fun. By: Dr. Kim Southwell, Ph.D.